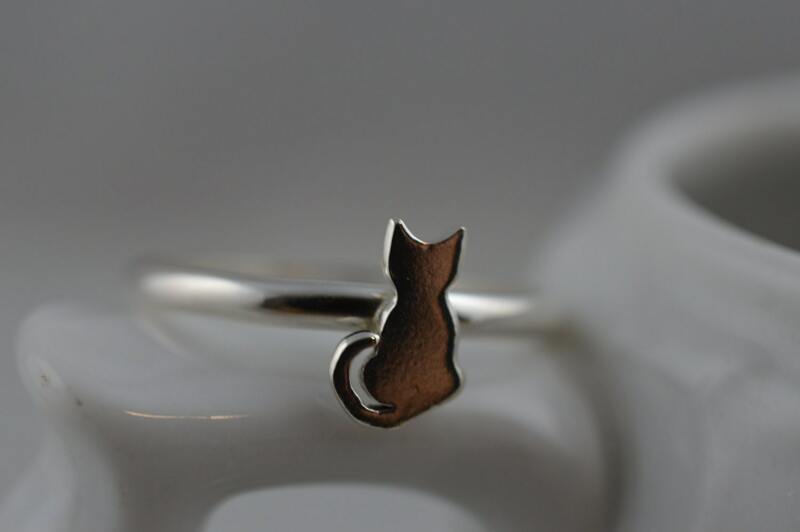 This little ring is purrrrrrfect for the cat lover in your life! 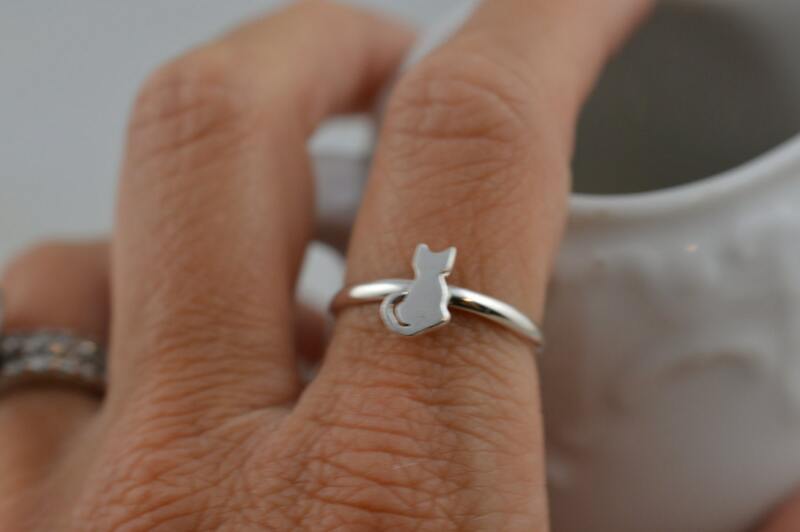 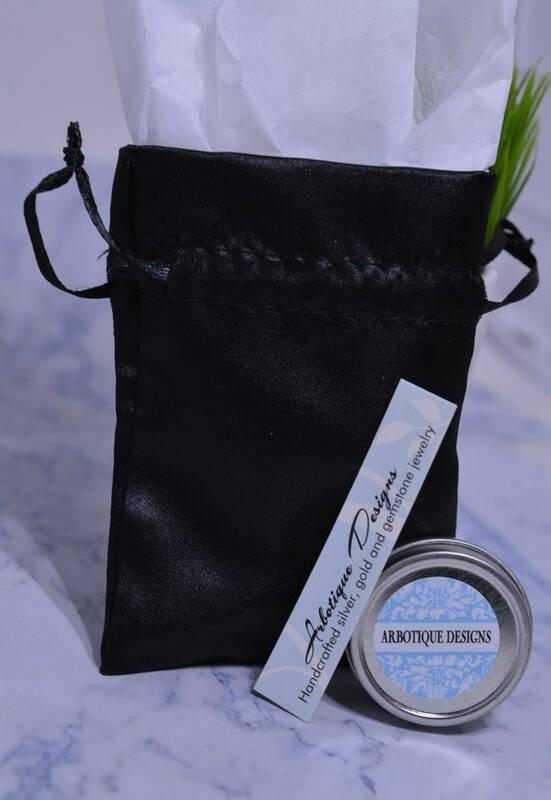 It's cute and whimsical while remaining modern and simple. 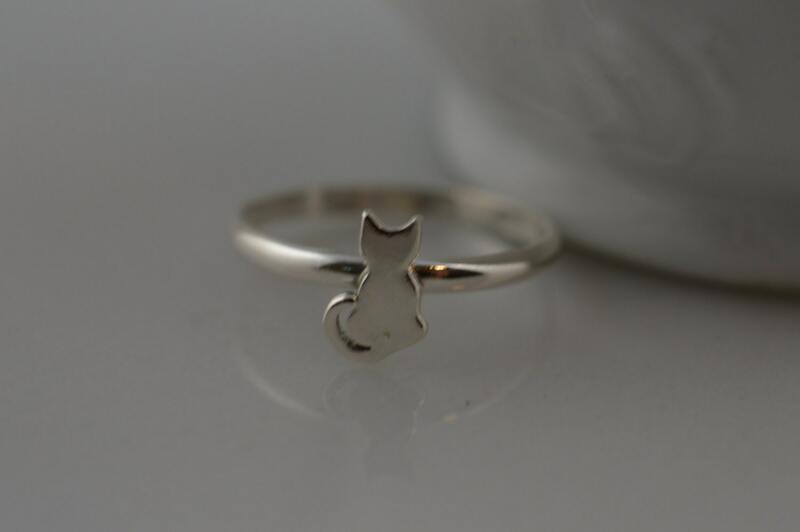 A 6x12mm sterling silver cat sits on a sterling silver ring to make this adorable stacking ring. 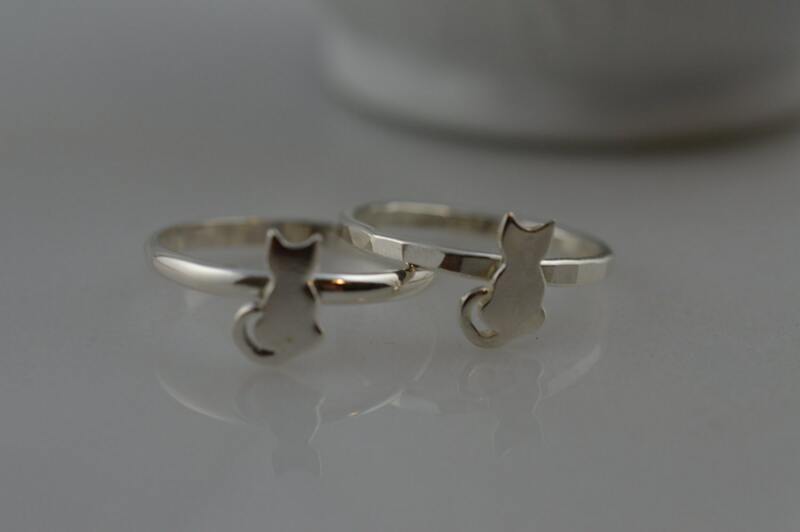 Ring band is available in rounded smooth or hammered (both finishes are shown in the second picture).